Below you can view all the townhouses for sale in the Providence Place subdivision located in Decatur Georgia. 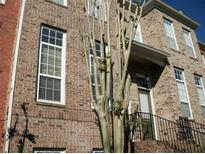 Listings in Providence Place are updated daily from data we receive from the Atlanta multiple listing service. To learn more about any of these townhouses or to receive custom notifications when a new property is listed for sale in Providence Place, give us a call at 404-998-4097. The Home Also Has 2 Additional Bedrooms, Complete With Their Own Full Bathrooms, A One Car Garage, Lots Of Storage Space And Is Walking Distance From Toco Hills Shopping Center. This Is A Must See! MLS#6537399. Real Estate Gurus Realty, Inc.. There Are Hardwood Floors And The Laundry Room Is On The Upper Level For Ease. MLS#6532143. Karafotias Realty Company.